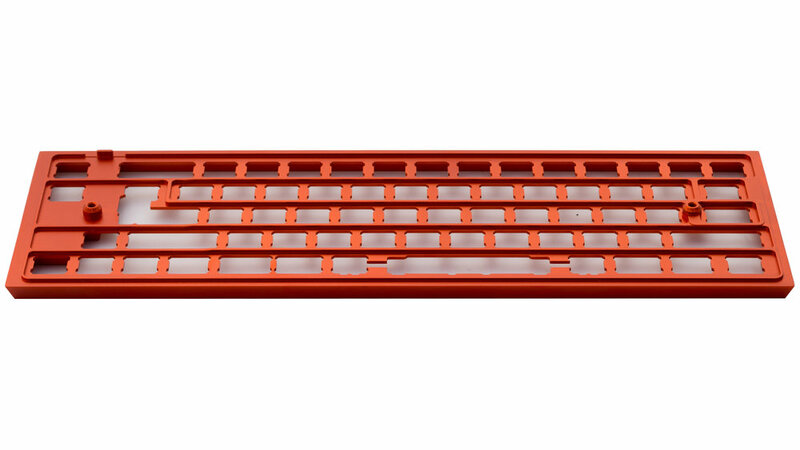 The Clueboard Aluminum Case consists of two pieces, a Bottom and a Super Plate. You may also have an optional Acrylic Spacer. The super plate combines the top half of the case and the switch plate into a single piece for extreme rigidity. You can snap switches into this while still opening the switches without desoldering. The Super Plate does not support Plate Mount Stabilizers. The bottom plate closes your Clueboard up and protects the PCB. You can use M4 x 8mm Socket Head Screws to secure each half together. If you have opted for Underlighting you will have received an acrylic spacer and reflective plate as well. The two parts used in combination will allow the LED's on the bottom of your Clueboard PCB to shine through both the acrylic spacer and the around the edge of your keys. When screwing together your case you should be careful to get your plate centered. Screw the case together finger tight and turn your Clueboard up on one side, resting on the acrylic plate. Run your fingers along both vertical edges to orient the spacer in that direction. Run your finger along the horizontal top edge to align the spacer in that direction. Carefully tighten the screws without allowing the parts to move. There are four different versions of the Clueboard 66% Aluminum Case. This was the first round of the Clueboard aluminum case. It was sold on Massdrop in Nov 2016 and delivered the next spring. It was also sold directly on Clueboard.co. It can be identified by the narrow ridges running between each row on the bottom of the plate. It is compatible with the Clueboard 66% PCB Version 2.5 or later. This was the second Clueboard 66% case produced. It comes with GMK plate mount stabilizers pre-installed. It is sold directly on Clueboard.co. It can be identified by the narrow ridges running between each row on the bottom of the plate, and the fact it supports only a single layout. It is compatable with the Clueboard 66% PCB Version 2.5 or later. This was the third Clueboard 66% case produced. It was sold on Massdrop in July 2017 and delivered in Dec 2016/Jan 2017. It is also sold directly on Clueboard.co. It can be identified by the thick plate with cutouts to accommodate switches and stabilizers. This was the fourth Clueboard 66% case produced. It is sold directly on Clueboard.co. It can be identified by the thick plate with cutouts to accommodate switches and stabilizers. 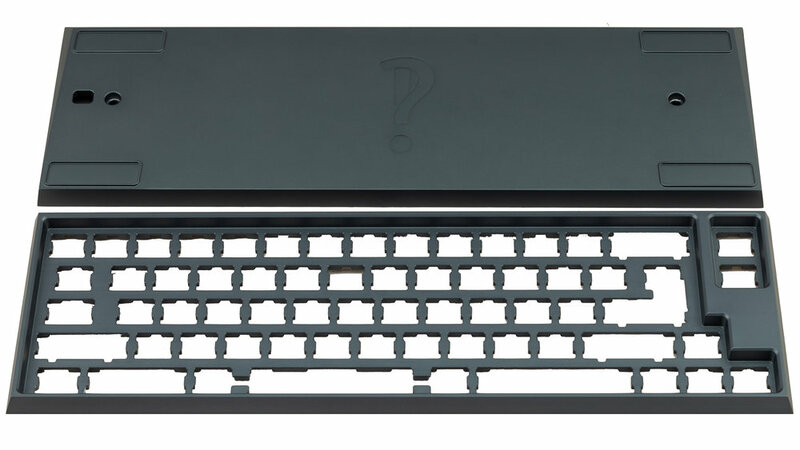 The distinguishing factor between V3 and V4 cases are the cutouts around the spacebar area. V3 has notches along the south side of the cutout only, while V4 has notches along both the north and south side.